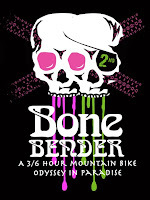 The Bone Bender was a great success this year with a record turnout of 267 racers. There are many fine people to thank, some of which I did not even know before Sunday. They all came together and helped in making the Bone Bender a terrific event. Thank you to the Smithville Trail Group, Earth Riders Mountain Bike Club, Midwest Mountain Bike Patrol, ERTA, Cow Town Cycling and Special Thanks to Carolynn Locke, Christopher Locke, Gerard Arantowicz, John Williams, Ben Bolin, Neale Shore, Rich Bowman, Dave Wathen, Rich Anderson, Todd Possum and John Harter, all of which put in many hours before in the months leading up to the BB36. You sometimes show up to an event and do not realize what it actually took to bring everything together. Well it is a lot of work, but thanks to a great group of volunteers it was made much easier. It also takes sponsors who support what we love to do. These guys supported the Bone Bender and you should support them. Kuat Racks, Paceline Products, Hammer Nutrition, Pot Pie, The Wheel Cyclery, In-A-Tub, Volker Bicycles, Epic Bike and Sport and MultiSport Marketing. From USA Cycling an interview and the start. Here is the first set of pictures from Dirt Works. The big weekend has arrived. 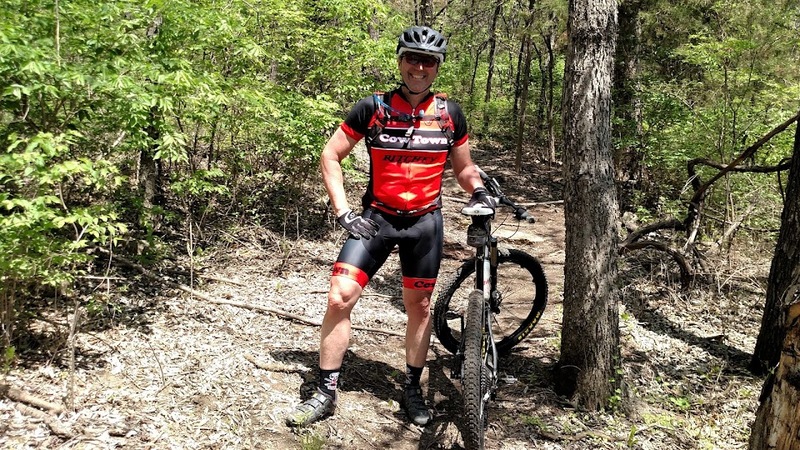 It is time to hit those wicked fast Smithville Lake MTB trails. Time for some Bone Bender fun in Paradise. Awards are in. Thanks to John Williams from Pot Pie for making them. 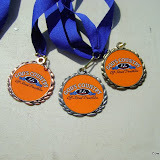 I just wish I was racing so I could have a chance to win one. The final course is 11.5 miles in length. Lap times should be between 55 min and 1:15 min. I am sure there are few guys that can get close to 50 min laps but the most will be in the above range. 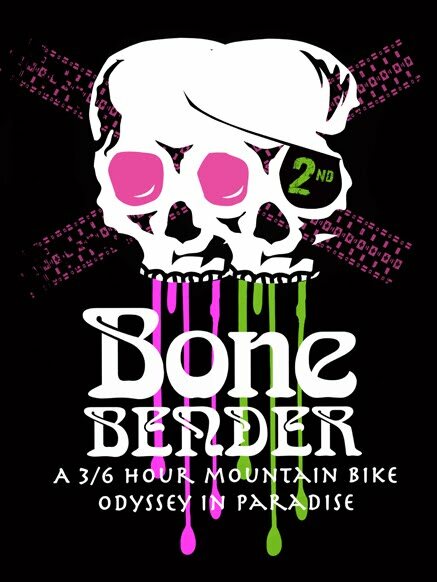 To view the course go to Bone Bender Course. We had a good response to pre-registration. I think they wanted one of those nice t-shirts that Rich Bowman designed. 122 have signed up so far. Not very many locals have signed up (maybe they are waiting to register on race day), but a surprising amount of out-of-town riders have. That is very cool. Race day registration opens opens at 0700 and closes at 0930. The 8th Annual God's Country is in the record books. It was nice to see some old friends and see so many first timers out enjoying themselves. The best one was the two crazy guys on unicycles. 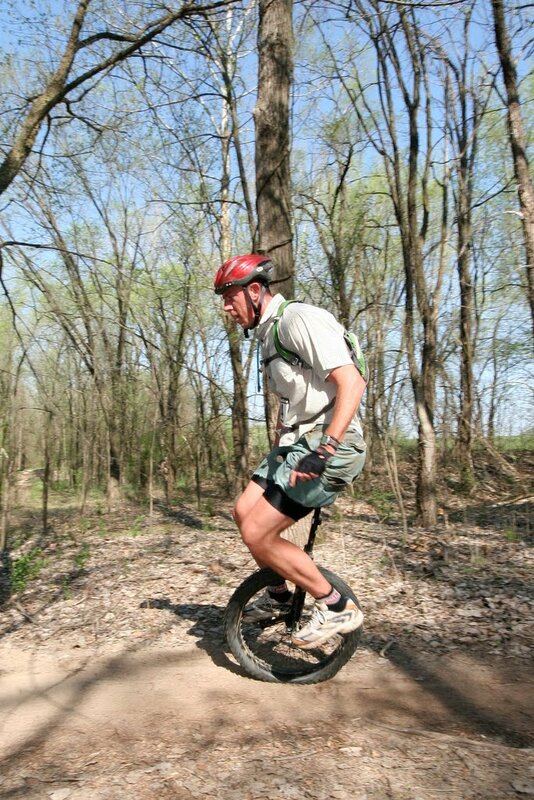 Yes it is the "Year of the Unicycle". Thank you to everyone who helped out. There were so many people who stepped up and lending their support to make this event a success. Thank you to everyone on Cow Town Cycling who helped out. You guys were great. 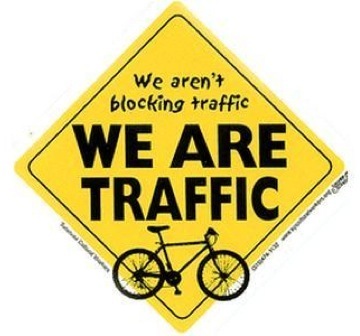 Thanks to the LMBC and the Mountain Bike Patrol for keeping us safe and providing some sweet trails. Thanks to all the volunteers that were there when we needed you most including Studnicki and the whole Brocket clain. Here are some pictures from the day. 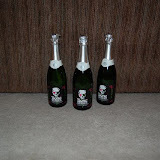 Many more sets including some very cool ones from Eclectic Arts Images. Not much riding going on around here. Solid work for the past week or so getting ready for the next two weekends. Here is the 2010 Bone Bender Athlete Information Guide. Enjoy. The family headed over to Lawrence for the day to ride the always fun Lawrence River Trails. The trails were in near perfect shape. And what a great day to ride. Carolynn and Christopher rode together while I worked on marking the areas for Art to mow and finally got some good maps via my Garmin 305. For some reason my Edge 305 is not working so well (I need help Tom or John). The old Forerunner 305 worked like a charm today. Lots of riders out enjoying the day including my teammate Tige. I tried to ride with him as he did a quick 3 laps but the Micky D's that we ate in the morning had other ideas.